Hi Alex! I loved the dual time-frame in The Secret of Orchard Cottage, can you tell us about the inspiration for the storyline in the past and your research? Thank you, I’m so happy you loved the dual time-frame as I really enjoyed writing the story that way. The inspiration for the storyline set during World War Two originally came from a news piece that I came across a few years ago. I then researched online and read lots of books about ordinary women that did extraordinary things during those years, and of course continue to do so today. You've been writing about Tindledale for three books now, will you ever return to Carrington's or make any of the main characters from that series pop up in a future novel? What is your favourite location in Tindledale and why? Ahh, it’s hard to pick just one as I love the whole village so much, but the village green all twinkly with fairy lights and snow in The Great Christmas Knit Off is a favourite, as is the nostalgic Hettie’s House of Haberdashery and Ruby’s vintage dress shop. 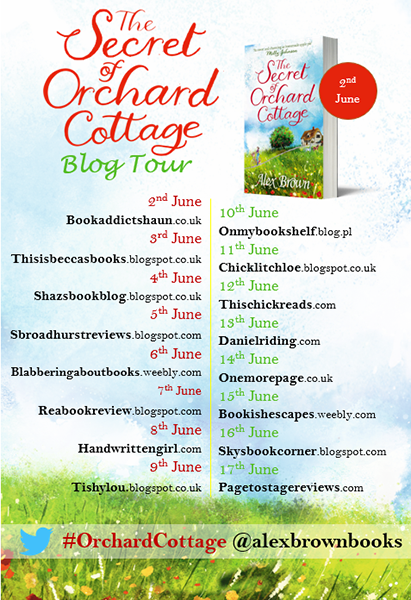 In the The Secret of Orchard Cottage I especially love the yarnbombed gypsy wagon in the orchard. Your novels are always completely heartwarming and they make me think of all things lovely and cosy. Which books make you feel this way? Lovely to hear this, thank you. It’s well known that I’m a huge fan of the Pop Larkin series of books by H.E. Bates, in particular The Darling Buds of May, having loved them all since childhood, in fact it was a massive decider when I chose my agent, Tim Bates, as H.E Bates was his great grandfather. What is one great thing about being a published author? After seven books it is without a doubt the loyalty, kindness and support of my readers. I love chatting to them and can always rely on them to cheer me up and spur me on, make me laugh and sometimes make me cry. When I get an email from a recently widowed octogenarian in San Francisco thanking me for giving her a reason to get up in the morning so she can carry on reading my book is very special indeed. As is the message from the woman who read the whole Carrington’s series while attending appointments for fertility treatment, plus the Christmas card from the Indonesian teenager with ‘FAN MAIL’ written on the envelope. That’s the greatest thing about being a published author, my darling readers. Thank you very much Alex for these insightful answers! 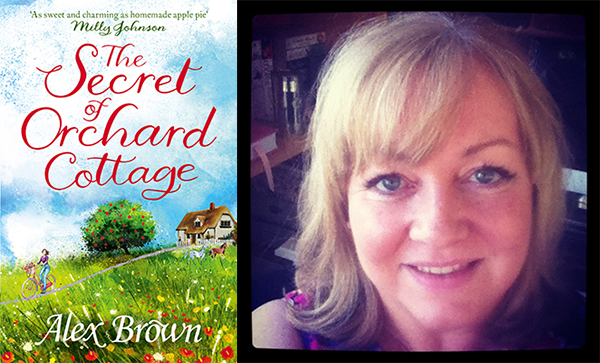 The Secret of Orchard Cottage is published by Harper and you can buy your copy from Foyles, or your own preferred retailer.